Mick Devine was at home with his wife Kelly Devine and kids Saturday. Both are furloughed air traffic controllers. Hundreds of Coast Guard members and their families continue to use food pantries. Overworked air-traffic controllers are at heightened risk of making mistakes, union officials warned. And many private workers, locked out of federal facilities and often living paycheck to paycheck, wonder how they will pay the rent. Devine said that mandatory overtime has been ordered for air-traffic controllers at Logan Airport, where his wife, seven months pregnant, has been furloughed as a controller. The Trump administration has said that the 800,000 federal employees who have been furloughed or ordered to work without pay will be reimbursed once the shutdown ends, but that assurance doesn’t help civilians who work under private contract for the government and now find themselves without a source of income. Among them are 10 employees with disabilities who had been cleaning federal property in Boston through Community Work Services, a 142-year-old nonprofit organization that trained them for the jobs and holds contracts with the federal government. With Democratic congressional leaders rejecting President Trump’s latest proposal to end the shutdown and no resolution in sight, many people who rely on government subsidies are growing more worried. Sheryfa Valerio, 40 with her daughters, Aleah Funn, 4, and Makayla Nieves, 12, outside the Phoenix House where they are currently living. 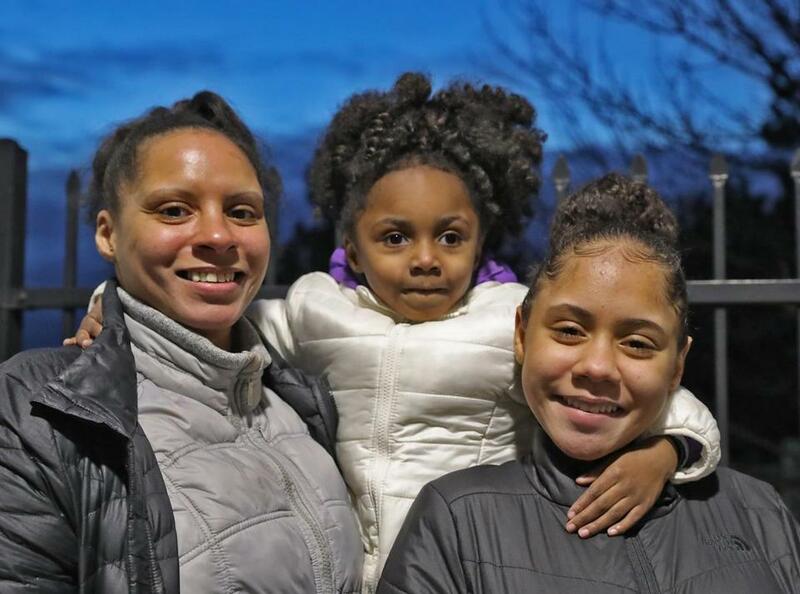 Sherysa Valerio, 40, lives in a Dorchester shelter with her two daughters, ages 12 and 4, and depends on the $360 in monthly food stamps she receives to feed her family. Like many other food-stamp recipients, she has received her February benefits, but Valerio is worried she might not receive her benefits in March if the shutdown continues. Project Bread, a nonprofit group committed to ending hunger in Massachusetts, wrote to Governor Charlie Baker saying that a prolonged shutdown could hurt the 770,000 Massachusetts residents who rely on food stamps, formally known as the Supplemental Nutrition Assistance Program. The state’s Department of Transitional Assistance, which administers the program, said Friday that 93 percent of recipients were scheduled to receive their February benefits by Jan. 20. State officials urged food-stamp recipients to spend their benefits carefully through February. No payments will be disbursed next month, and a prolonged shutdown would jeopardize benefits for March. At the Coffee Time Bake Shop in Salem, owner Rob Liani has begun offering free breakfasts for unpaid federal workers from 5 a.m. to noon on Thursdays. Last week, about two dozen people took advantage of the offer. Liani said he would continue the gesture for as long as the shutdown lasts. “I have to be as stubborn as the politicians,” he said. Food also is being distributed to the Coast Guard by a civilian group, the Massachusetts Military Support Foundation, which last week gave away 182,000 pounds of food, mostly to Coast Guard members and their families at bases in Boston; Cape Cod; Portsmouth, N.H.; Providence; and New London, Conn.
More than 500 Coast Guard members benefited each day in Massachusetts alone, said Don Cox, president of the foundation. 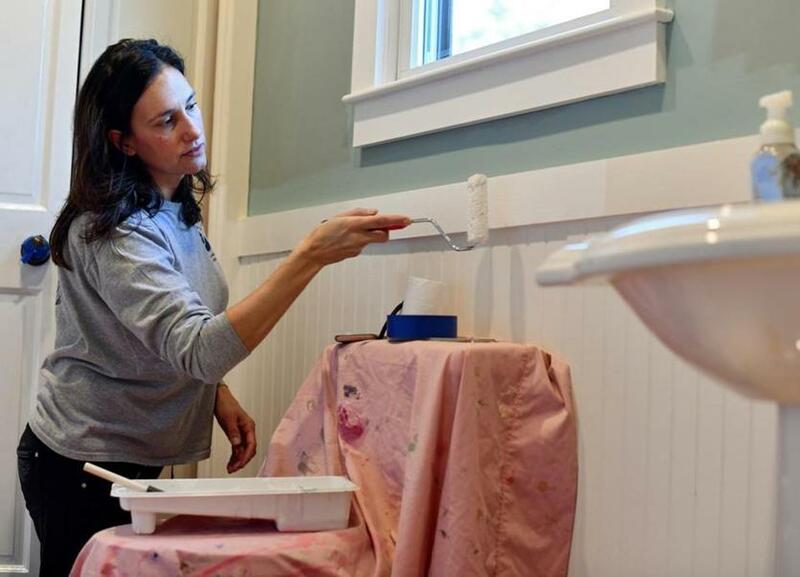 Nicole Bartlett has been painting and doing odd jobs around her house. 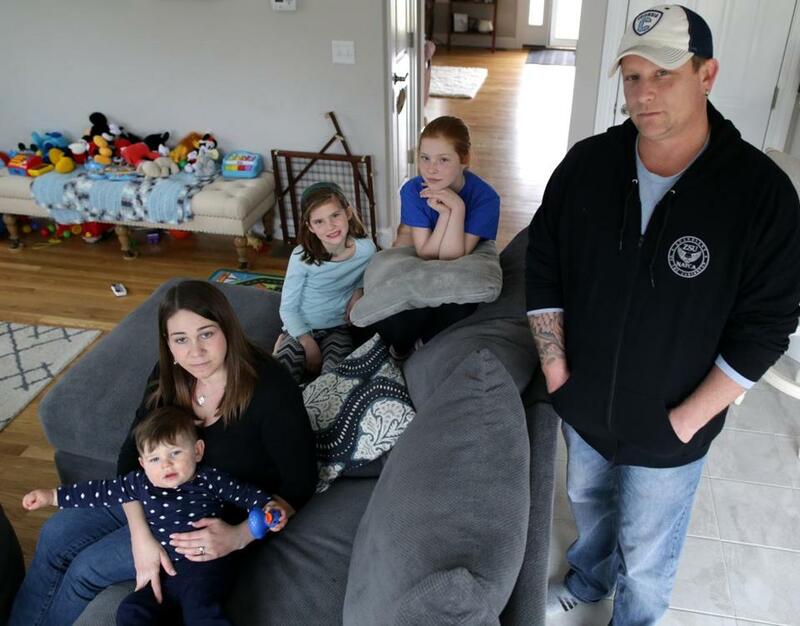 Elsewhere on the Cape, Nicole Bartlett of Mashpee, a 45-year-old analyst for the National Oceanic and Atmospheric Administration, said it has been upsetting and isolating to be forced to stay home. The shutdown has also prompted some financial worries. Although Bartlett expects to receive back pay when the shutdown ends, she recently asked her credit card company if it would waive the interest if she did not pay the full balance this month. The company, Chase Bank, said it would. “My strategy really is to not buy anything we don’t need and put everything on my credit card and hope my paycheck comes in soon and we can pay it off then,” she said. Susan Brown, a 54-year-old administrative assistant at NOAA, also said it has been frustrating to be out of work for nearly a month. She has been spending her days folding laundry, doing her taxes, and reading books — “nothing too exciting,” she said. “At the very beginning, I was like, ‘Yeah, this is a little like a vacation,’ and after a couple of weeks, figuring it would be over and it wasn’t, it got a little depressing,” Brown said. Brian MacQuarrie can be reached at brian.macquarrie@globe.com. Michael Levenson at michael.levenson@globe.com.